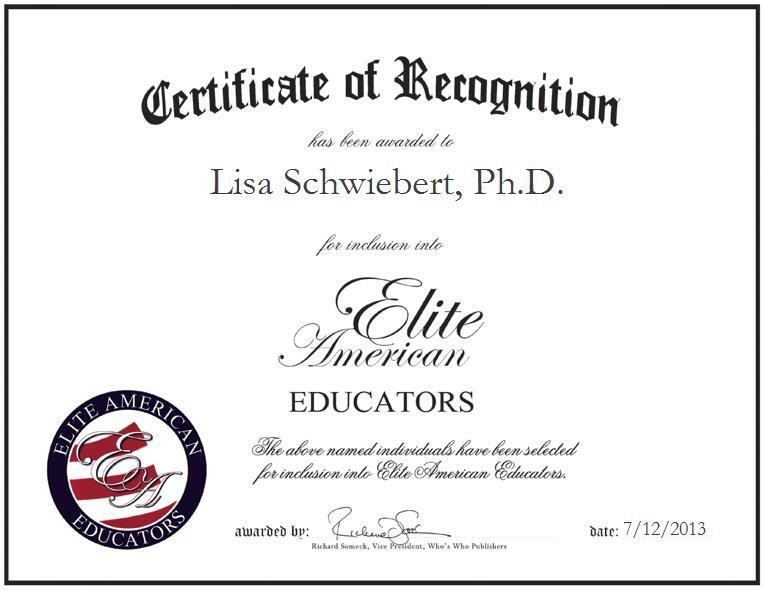 BIRMINGHAM, AL, July 12, 2013, Lisa Schwiebert, Ph.D., Associate Dean for Postdoctoral Education at the University of Alabama at Birmingham, has been recognized by Elite American Educators for dedication, achievements, and leadership in research and education.Dr. Schwiebert has been a member of the faculty at the University of Alabama at Birmingham since 1997 and has held positions in several departments including Cell, Developmental, and Integrative Biology, Medicine, Cell Biology, and the Arthritis & Musculoskeletal Diseases Center. She was appointed Associate Dean for Postdoctoral Education in 2007.Dr. Schwiebert graduated with a B.S. in Chemistry from Bates College and a Ph.D. in Biochemistry from Dartmouth College. Prior to joining UAB, she was an instructor in the Department of Medicine at Johns Hopkins University.